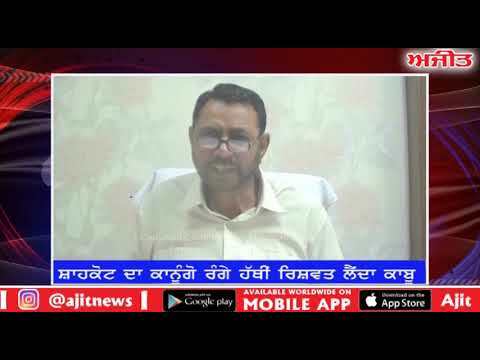 Shahkot bribe case -ਸ਼ਾਹਕੋਟ ਦਾ ਕਾਨੂੰਗੋ ਰੰਗੇ ਹੱਥੀਂ ਰਿਸ਼ਵਤ ਲੈਂਦਾ ਕਾਬੂ.. In Jal Chandan Boot House In Jalandhar, Address At Opposite Lakshmi Narayan Temple,Shahkot, Main Bazar, Jalandhar City -144002..
Background information Birth name	Saleem Shah koti Also known as	Saleem Shahzada Born	13 July 1982 (age 32) Origin	Shahkot, Jalandhar Genres	Sufi, Folk, Bollywood Occupation(s)	Musicia.. Administrative Division of the District The Jalandhar District consist of 5 tehsils/subdivisions viz. Jalandhar-I, Jalandhar II, Nakodar, Phillaur and Shahkot. Besides, there are 5 sub-teh.. Ministers and MLAs Name of the MLAs Constituency Chuni Lal Bhagat (Jalandhar West) 98142-94790,99889-99540,0181-2254031 Ajit Singh Kohar (Shahkot) 98147-88253 Sarwan Singh Phillaur, (Kart..